After my disastrous experience using Free From Frizz, the 6 weeks it was meant to last, ended up turning into nearly 20 weeks of having this in my hair, my curls were limp, strung out, dry and just pretty much useless. Unless I used heat my curls wouldn't 'activate' and that really wasn't happening. I ended up reverting back to using sulphates to get the extra keratin out my hair, head and shoulders almost DAILY. Protective hairstyles during the day and braids at night, trying to give my hair a rest in a sense. I didn't want to use my expensive curly hair products because I was washing my hair daily and it would of been a waste but I was sent some John Frieda Curl products to try out and I also purchased a conditioner to try and remind my hair what it's supposed to do. The products are :- Go Curlier Heat-Activated Spray*, Unwind Curls Calming Créme*, Miraculous Recovery Creme Serum*, Dream Curls Conditioner. The only one I really can't speak much on is the heat activated spray because I don't like to use heat on my hair much and at the time I didn't want to reverse what I was trying to fix. I was using the conditioner for my hair to remind itself of how it should behave. It has a good slip to it, that's probably the Dimethicone - if you're against the cones - this conditioner isn't for you. It helped nicely to detangle the hair during the wash plus the formula is quite watery but I do always detangle beforeheand but I wouldn't say it was very moisturising as a conditioner for me but it was doing the job during my transitioning. The calming cremé, this too has cones in the ingredients, I found that less is more, otherwise it dries into a crinkly hard formula and leaves cripsy curls. It loosens my curl pattern slightly and my hair wasn't as big as normally. I'd put the miraculous recovery cremé afterwards once it's nearly dried to eliminate any frizz halo that might like to appear. This I don't mind so much it's light and watery and it's not bad on my ends which tend to be drier due to the colour. All in all I'm not 100% keen on the range but it did help to get some curls back into my hair after keratin experience, cut and colour. I'm just going to have to learn to stick to my hair routine and forget keratin treatments - EVIL! 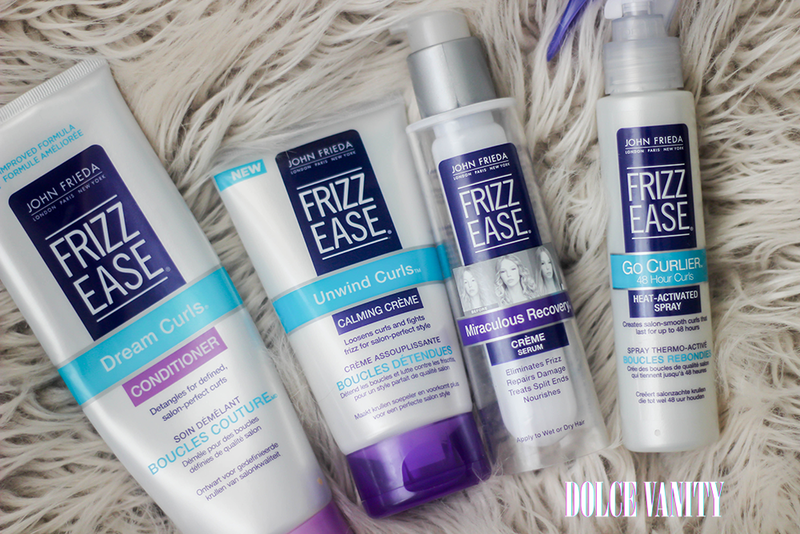 Have you tried anything from the John Frieda range that you love? your hair is perfection! 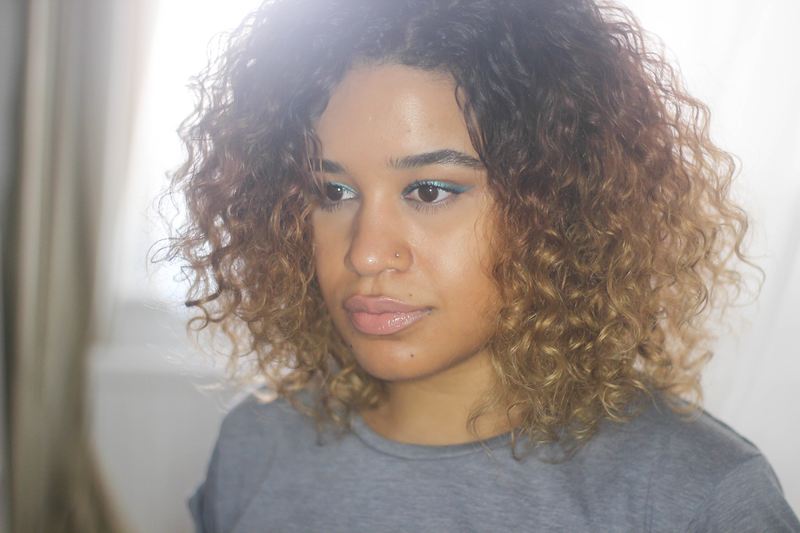 the cut, colour and curl!